Summerfest Music & Microbrews, happening from 4:00-10:00pm, July 21st at Shadowland Pavilion, 101 Broad Street, St. Joseph, Michigan lets you experience the region’s finest craft breweries while supporting the Southwest Michigan Symphony Orchestra. This fundraising event features over 64 total brews from 16 Michigan craft breweries, plus live music by the Swift Brothers and 90s hits band Fool House. This is an all ages event. Tickets are $15 ($5 higher day of) and include entrance to event, live music and souvenir tasting mug. Children ages 12 and under are free. Drink tokens are purchased separately at the event. Tickets are available online at http://smso.org/Music_Microbrews/MMB17_Home.html, by phone at 269-982-4030 and in person at 513 Ship Street, St. Joseph, MI as well as at Roosters Party Store & Deli, The Liquor Locker, and St. Joseph Today. Proceeds from the event support the Southwest Michigan Symphony Orchestra’s mission of Transforming Lives Through Music. The Swift Brothers is a modern-folk duo from Lansing, MI. Artists Mark Collins and Dan Laird share a strong musical history that spans over a decade. 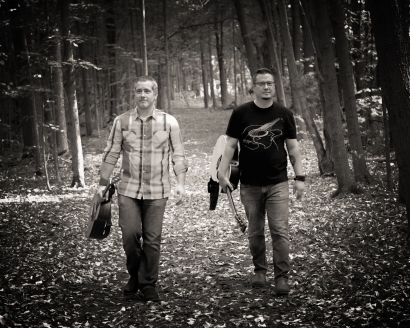 Drawing from their vast life experience, the duo blends thought-provoking lyrics with infectious melodies and rich harmonies. With a sound reminiscent of The Lumineers, Vance Joy, or Mumford & Sons, The Swift Brothers bring a memorable and energetic live experience sure to be enjoyed by all! 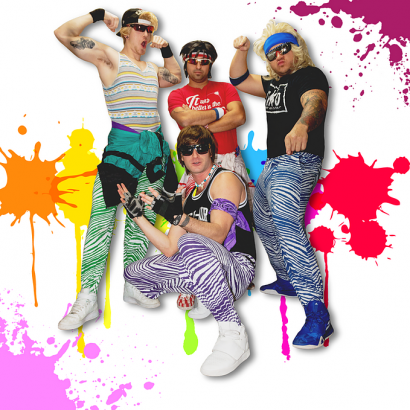 Fool House is THE ULTIMATE '90s DANCE PARTY! Between their laid back style, choreographed dance moves, and foolish sense of humor, they strive to create the ultimate party anytime they take the stage. ​The name of the band speaks for itself, reminiscing all the party throwbacks from the 90s. The event is a major fundraiser for the Southwest Michigan Symphony Orchestra. The Symphony is particularly grateful to our sponsors for this event: Fairmount Santrol, TPC Technologies, Liquor Locker, Siemans in Bridgman, Abonmarche Consultants, Inc., and MidWest Family Broadcasting. The SMSO has been an integral part of the cultural fabric of our community since 1951. We strive to cultivate and inspire a diverse audience through professional musical experiences. We embrace the responsibility to be a dynamic and vibrant part of southwest Michigan by offering innovative programming, broader venues and increased educational opportunities while balancing artistic growth with financial soundness. Your participation and support is vital to our mission of Transforming Lives Through Music.